Bob Olson, Afterlife TV: Hi everybody. Bob Olson here with Afterlife TV. You can find us on www.afterlifetv.com. You can also find us on iTunes, YouTube, Facebook, and Twitter. This is where we search for evidence of life after death and ask the meaningful questions around that subject. Today’s subject is past life memory. We’re going to talk a little bit more about that. You know, children tend to have more past life memories than adults. I think the theory behind that is they haven’t been away from the spirit world too long, and the older we get the more we forget. But we’re going to ask our guest about that in a little bit. She’s got an incredible story. Just so that I keep you here, I’m going to tell you a little bit. This is such an incredible story. This woman had past life memories as a child all the way up into adulthood. They were so detailed that she actually found where she lived in another country based on those past life memories. So this is in a past life where she lived, and then actually found her children, who were still living and of course older than her. I hope I’ve caught your attention now and you won’t go away. Let’s introduce our guest. Her name is Jenny Cockell. Thank you so much for being with us. Jenny Cockell: Yes, a pleasure. Thank you. Bob Olson, Afterlife TV: Did I say your last name right? Bob Olson, Afterlife TV: Cockell. Jenny Cockell: It’s a French name. Bob Olson, Afterlife TV: Oh, it’s a French name, all right. Cockell, all right, great. Well anyways, this is such an honor. My wife read your book years ago. She couldn’t say enough about it. She told me the whole thing, so I didn’t read it myself because I felt like I knew it already. You probably hear that a lot. This is one of those stories that when you hear it you just tell other people about it, isn’t it? Jenny Cockell: Oh, apparently. But I mean the whole idea is just to share information like this. I think if you have an unusual experience and especially, you know, when I was growing up people were saying to me that this isn’t real, and I knew it was. Jenny Cockell: Then being able to turn around and say, look, it was real, and there are other people who are experiencing this. It is real. Don’t ignore children who are talking about past lives. Bob Olson, Afterlife TV: That’s right. You know, you documented everything so well. You were such an incredible investigator. When I was working full time as a private investigator I would’ve hired you in a second. You were really, really good. So anyways, why don’t we tell people a bit about your story? I know it begins as a child. Why don’t we start there? Tell us what happened as a child that started this whole story. Jenny Cockell: I always remembered a number of past lives, but as I started growing a little older, especially when I started going to Sunday school, people were saying what happens after death, but they missed out to my mind the most important thing is what happens, you come back again. I talked to my mother about it. I was almost four. She took the idea onboard, and she said that this is reincarnation; it’s a belief. I thought, it isn’t a belief, it’s what happens. Jenny Cockell: I mean we do know some of it is brainwave pattern changes, but I could remember I would wake up. A lot of it was a dream. It would come back a lot while I was dreaming. I would wake up remembering dying and leaving my children behind, and I knew it was in Ireland. When I was old enough to have a book with maps in, I knew where it was. I just simply knew where it was, and the name was written. I didn’t remember the name, but the name on my finger when I was looking was Malahide, so I knew where to look. But I had other memories as well that I researched into. I could remember one of the problems I had as a small child was around six being chased by a truck onto the pavement in my dreams. Jenny Cockell: That’s another one I followed up. I’ll come back to that one. Jenny Cockell: I’ll come back to that one later. But when I grew up and I had my own children this time around, the feelings became worse, and I realized I couldn’t just push it into the background any longer. So I didn’t know quite where to start, and I thought, well, to start with, I didn’t think I remembered enough to actually start researching. I did, but I didn’t realize I did. Jenny Cockell: I used hypnosis, and all that did was it stirred up all the memories that were there. They were the same memories I’d had since childhood, but it just made it worse to cope because the memories were then in the forefront of my mind. I’d learned to push them back, and I couldn’t anymore. So then I had to start researching. So I booked a quick weekend away in Ireland to go to Malahide and have a walk around. I’m incredibly nervous, but as I started to walk, I mean even the night before when it was still dark I started to recognize things. But the next morning when I got up, I could have chucked the map away because I knew exactly where I was going. I went out to the jetty, and it was concrete. It used to be wood. But I remember waiting on the jetty for a boat to come in. I remember the cold wind and pulling a shawl around my shoulders. I walked down the lane, and I knew where the house should be. It wasn’t there, and some part of my mind was thinking, why is it not there anymore? It didn’t occur to me so much time had passed that it had fallen down. Jenny Cockell: But step by step I had to find out what had happened to the children/family. One of the things I tried was to write to one of the houses I walked past, and it just happened to be the right house because it was an elderly chap who remembered the family. For the first time he was able to confirm, yes, it was the first on the left on that lane, which was one of the details I remembered, and yes, there were a number of children and the mother’s name was Mary. Well, there are a lot of Irish women whose name’s Mary, but it was a start. Jenny Cockell: I needed, obviously, to make sure it was the right family. I then heard that the children had all been sent to orphanages, so I wrote to all of the orphanages in Dublin. Then I found a lot of them had been closed, but a priest helped me. He found some baptism records. Well, fine, so I had some names, but how could I go from there? I tried an advert in the newspaper, and somebody answered, a tiny little scrap of paper that I’ve still got with the name and address of one of the brothers, who I was then able to get in touch with. Jenny Cockell: Then that opened the door, and I slowly managed to find the others. It was hard. Some of them had been sent to different orphanages and had been separated, so it was quite hard getting together. But the first thing I had to do was panic a little bit because how do you go up to people—I mean the oldest son was 72; I was 37—to explain what I was doing, what I remembered. On that part I was very, very lucky because I managed to get ahold of a BBC researcher. So before I met Sonny, the oldest son, and before I said very much to him at all, she was able to take statements from him, statements from me, and it ran into nine pages of things that we remembered. Some of the things that I remembered he hadn’t told anybody. Nobody had told anybody. They were private things that just the family knew. Jenny Cockell: I still didn’t talk to him about past lives because I thought, this is a lot to cope with, and it’s strange enough as it is. So I took it step by step and waited. I met him a number of times, spoke to him, waiting till he asked me, what do you make of this? I said, well look, I’ve got to say to you, I actually remembered as a firsthand experience, so I remembered as my life. Jenny Cockell: What an acceptance. When we got the whole family together in the old ruins of the cottage, some of them were saying to me, well, what was here? Where was the door? What was this? I was explaining it, and again, it just took me a moment till I thought, oh, they’re accepting it. Jenny Cockell: I do remember then, and I was lucky that I managed to keep in contact with them through the last part of their life. I’m not going to say that it’s any easy thing because I was me this time. I wasn’t any longer their mother. I still had to cope with the memories. I had to cope with the time lapse. Although I’d had linear time with this life, still the memories were so strong as being there then, but it did help me for the second and the third time around. The second time around was when I started to research memories I’d had of being in Japan in the 1860s and 70s, which was incredibly hard, but again, I knew where it was. I went to Japan with a TV group, and they messed me about a bit. It wasn’t actually very easy, but when I was there I had actually found the right place. I wasn’t sure because, as I said, it was quite difficult under the circumstances. But when I got back I thought through it again step by step and over time managed with some help from a Japanese lady to get in contact with the family. She was arguing with me at one point because I kept drawing this house, and I said, it was right here on the edge of the cliff. She said, no, it can’t have been there. It must’ve been surely the other side. I said, no, right there, and I drew little pictures of it. I said it was right on the edge of the cliff and you had to be careful holding the handrail because you were right on the edge. She eventually found this family, and we know it was the right family because they said, how did you know about our house on the edge of the cliff, which by now had been demolished. So quite a lot more research there. Recently, the other one that I said I’d come back to and the truck, that took a long time because I had a first name and I had an initial of a last name, but it was an unusual first name. My mother helped me, went through the records office and went through every single child death for that time period, and we only found one with the right first name and starting with the right letter of the second name. But when I got the birth certificate, I looked at the road name and I think it was wrong. I made a mistake here. I’ve got something wrong here. This isn’t working. I put it aside, and I’m still coping with my second family in Ireland as well. I thought, no, I can’t cope with anything else. Then eventually I sent for a death certificate, and I thought, I’ll look again. I got a roadmap, and it was right. It was totally right. The school was in the right place. Everything was right about it. It took longer. I actually only tracked the brother down last year. Again, you’ve got this problem, how do I approach this person? This time I had a book, so I sent a book, and I had a video, so I sent a video. I had a note, this is going to be strange, my apologies. In the back of your mind you’re always wondering whether you should do this at all, you know. Jenny Cockell: —so I approach them. The brother, because it was only as a six-year-old child, it was actually quite difficult for him, and we’re still in contact. We talk a lot, but we don’t really talk much about the brother’s death now because I think it’s quite difficult for him. He was only four at the time. But I was able to describe what the inside of the house was like and describe people in the family. There’s one thing I kept going on about. Oh yes, of course, the position of the school and that sort of thing, but I drew out a picture of one of the downstairs rooms. I said I didn’t know much about the upstairs. It turned out that the upstairs was full of the mother’s brothers and sisters. Because it was wartime, she had moved back with her mum. Her brothers and sisters were upstairs, so there wasn’t room. So it was a downstairs room, and I kept saying, what’s here? What’s just here in this room? It took him a while, and he said, oh, that’s where I slept. I said, well, there you are. I knew there was something important there. It was my brother. Jenny Cockell: But that life was as a boy, so I’ve managed to sort out the last three lives, you know, to get the detail. Bob Olson: Fascinating, fascinating. I mean interesting, and one of the first things that’s coming to mind right here is so all these are recent lifetimes, I mean, in terms of history and dates. Bob Olson: So, I mean, I’m sure one of the first questions that’s going to come to people’s minds is were you living these lifetimes simultaneously? Jenny Cockell: No, no, no. It works normal physics, one after the other with a gap in between. Jenny Cockell: In fact, all of the lives I remember are linear with a gap in between. Bob Olson, Afterlife TV: They do? Jenny Cockell: Yeah, and sometimes the gap’s larger. Sometimes it’s smaller. But I mean, I remember things like the death. I mean I was taken back to the hospital that I remember dying in as Mary Sutton in Ireland. I realized it wasn’t at home because there was electric lighting. So when I found out it was a hospital, I thought, well, that makes sense because the house didn’t have electric lighting. Jenny Cockell: I was asked, well, can you find the room? I thought, well, that’s a bit of a tall order. But I drew a little sketch out, and I said, look, I remember a corridor here. I remember a window there. I remember a room there. They took it to the matron at this hospital, which we knew about because it was on the death certificate, and she said, oh yes, I know that, that’s the isolation room. That’s where they used to put people who were ill when they were pregnant, which was obviously what had happened, because the birth in the last round there were problems. We went there, and the first thing I did when I got into the room, I thought, there are two windows. I only remember one window. I knew it was one floor up because I could see the trees out of the window. Then I moved round to where the bed was and there was a pier that obscured the other window, which was why I could only remember the one window. This is why I was saying I didn’t think I had enough detail. I had tons of detail. It was just lack of confidence. There was a lot of detail there. Bob Olson, Afterlife TV: That’s right. Let’s show the book first. This is the first book that you came out with. Bob Olson, Afterlife TV: Let’s see if I can line that up correctly, bring it back a little bit. So Across Time and Death: A Mother’s Search For Her Past Life Children. I know this was a very popular book. 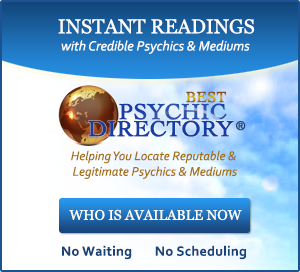 I know that our friend and former guest of Afterlife TV Dr. Brian Weiss wrote a quote here, fascinating book. I know that he met a couple of Mary’s children as well. Let’s just back up a little bit for those people who are not familiar with this story. I just want to show that photograph, and if there’s any flickering I’ll let everybody know. You’re in England. I’m in the United States, and we’re on Skype. So I don’t know if people can see it, but you get the general idea that this is a map of your town. Bob Olson, Afterlife TV: From childhood. You drew this as a child. Jenny Cockell: Again and again. Bob Olson, Afterlife TV: Again and again. Jenny Cockell: Yes, and I tried to remember what was down here and what was there. Yes, again and again. Bob Olson, Afterlife TV: So that’s fascinating. Then at what point did you start to look at maps? How old would you say you were when you started to look at maps? Jenny Cockell: Probably about seven or eight. I’ve always loved maps. Can I just share why I actually wrote a book? It’s because you have these experiences happen. This was my reality, and I realized it must be other people’s reality. So really, it was to share the story. Mostly I didn’t expect or even think about how people would accept it. I was trying to reach other people like me who just might want the reassurance. Bob Olson, Afterlife TV: I’m sure you did. Jenny Cockell: But the fact that it took off, I hadn’t thought about it, ignored it. Bob Olson, Afterlife TV: Well, you know, we find this with Afterlife TV all the time. I have a guest on about one particular subject, and then all these people are telling us that they’ve had similar experiences. I’m sure that’ll happen here as well. So not only did you draw these maps, but then, as you said earlier, you looked at a map and you just sort of figured out what town it was. Jenny Cockell: Yes. Well, I was remembering. Obviously, I had seen a map when I was Mary. I knew where I lived. I mean, if you were asked where you lived, you can point out on a map where you are. All I was doing was remembering, pointing out on a map where I was. Bob Olson, Afterlife TV: That’s right. Now, you also had dreams. Are these sleep dreams, or are these daydreams, or are these both? Jenny Cockell: Well, the remembering is just like any other remembering because I look at it as linear. It just feels like I had a very, very, very long life and changed the body a couple of times and grown and then got old. So it’s like normal memories, so sometimes I’ll sit and think about something and it’s exactly the same way you might think about your first day at school, your best friend when you were a child. Then you start to think about the detail. So most of the memories are like that. When it starts coming in the dreams it’s because you’re thinking about it a lot and it’s starting to sort of take over a little bit, push itself a bit. It’s an important memory. It’s trying to make itself felt. You’re supposed to be remembering it. You’re supposed to be thinking about it. I think it happens if you try to ignore it. Bob Olson, Afterlife TV: Yeah. I got the sense in reading the book, so this story in this book Across Time and Death is about your lifetime as Mary Sutton. Bob Olson: I get a sense that those memories were more dominant than the others because it was the most recent life. Jenny Cockell: Yeah. Also, it’s the sense of responsibility because I’d left children behind. I was a mother who had left children behind, and one of them was a baby. Jenny Cockell: I was very, very concerned about their welfare, so finding them—I don’t know what my life would’ve been like if I hadn’t been able to find them. Jenny Cockell: I would still have been plagued with the worry about what had happened. The only thing I can liken it to is—some people might think this is an unfair analogy—but when somebody’s had a child adopted and you don’t know where they are. Because for me it’s a linear memory; they were my children, and I didn’t know where they are or what had happened to them. I needed to just see them again, but it was a real emotional rollercoaster. Bob Olson, Afterlife TV: Now, do you think this happens commonly? Jenny Cockell: I think that more children remember past lives than we realize. I’ve looked into it, and I’ve found that babies, their brainwave patterns are very, very similar to deep meditation. That slowly goes. Around the age of six the brainwave patterns change quite a lot. So that sort of dreamy sort of half here, half somewhere else stops, and they concentrate on the here and now. So presumably, I was a daydreamer. It just didn’t stop for me. Jenny Cockell: I held onto that for various reasons. It might be a genetic thing, but I do think it is very much more common. I’ve asked people, saying just listen to children, what they’re actually saying. Don’t dismiss it. Just listen, and you’d be surprised how many children make references to spitfire airplanes, to uniforms, to other countries, when they’re cooking wanting to make something that is from another country that they’ve never seen. Jenny Cockell: I think it happens a lot, but people, they’re not aware. They just don’t notice it. By the time you get to about six or so, it goes away. I think, again, that you’re supposed to forget. Jenny Cockell: Because I don’t think it’s always very easy remembering. You know, I’ve seen other children who have been able to explore their past lives while they’re still a child. There’s a point of recognition where they suddenly realize they’ve got to the right place and it’s all changed, and they’d never go back. You’ve got to live this life. It’s an unconscious thing, but I think it happens to everybody who looks back at a past life or is able to get some resolution. But you’ve still lost something. Bob Olson, Afterlife TV: I know that there’s many children who will tell their parents that their grandmother isn’t there, isn’t that their parent’s mother; it’s their sister or something. They’ll start mixing up the relationships. Bob Olson, Afterlife TV: Have you heard of those kinds of stories? Jenny Cockell: Yes, where they actually come back into the same family, and they start referring to their grandmother as their daughter and start telling them off. Bob Olson, Afterlife TV: Right, yeah. People should pay attention to that sort of thing, right? Jenny Cockell: Yes. I think you’re very lucky when you come back to your own family. That’s lovely. Bob Olson, Afterlife TV: Yeah, I imagine it is. I also know that you had imaginary friends when you were younger. Jenny Cockell: It’s what I was told they were. Bob Olson, Afterlife TV: Okay. Yeah, that’s right. I know. Jenny Cockell: They were actually World War II soldiers because, I mean, I’ve seen people in different places who other people haven’t seen. I mean I have several times. I remember some years ago we went to the Blue John mines in Derbyshire, and there were the men up the ladders chipping at the stone. I thought, well, that’s really nice that they’re actually still working it. We got out and there were photographs. I said, oh yeah, they’re like the men who were down there. Other people who were with me said, there was nobody down there. So I’m used to seeing things like that, less often as an adult, but again, it’s something children do. So they were soldiers basically that I used to talk to, and I got quite upset when they went. Jenny Cockell: Yeah, I shouldn’t have used the phrase imaginary friends, but that’s what I was told they were. Bob Olson, Afterlife TV: No, and we do, and I think it’s great that you used it because then it makes other parents aware of that when their children have imaginary friends. Jenny Cockell: In fact, there was a program I saw some while ago about children’s imaginary friends, and one of them described what could only have been the person who used to live in that house. Her imaginary friend was an old man who used to sit in front of the chair, and he didn’t like talking to her. I mean, what sort of friend is that? Bob Olson, Afterlife TV: That’s funny. That’s an imaginary grumpy old man is what that is. That’s right. Well, that’s cool. Now, of course, your story, so you have all these memories, and then you end up working with a hypnotic regressionist. You were working with hypnosis to go under regression. Tell me why you did that at that time. You kind of touched upon it earlier. Jenny Cockell: Yeah, mostly I didn’t think I had enough detail. Now, as it turned out, some of the things that I remembered under hypnosis were quite useful, but I think they were things that I’d remembered in childhood and then forgotten because I’d left it so long. Because even though I had the memory running into adulthood, I’m actually the same as other people, and I did probably forget quite a bit of it. I was lucky I didn’t forget all of it. Jenny Cockell: So it did stir up some of the memories, and some of the things I saw under hypnosis turned out to be really quite accurate. A house is owned by somebody called Mac. It was. It was a rented house, and it was owned by somebody called MacMahon. I was just thinking if there was anything else under hypnosis particularly. There were a number of things that came up, but I think in my case it was probably that I had remembered them and then I had forgotten them. Bob Olson, Afterlife TV: So in that way hypnosis could sort of be a way to help maybe bring some memories back. Jenny Cockell: Yes, in that most children remember anyway. Bob Olson, Afterlife TV: Yeah, yeah. Well, I mean if you’re an adult. Jenny Cockell: Yes, that’s what it’s for is to help bring back the memories that are there. It was useful. I was annoyed in some ways how easy it is to remember under hypnosis because I’d been trying so hard for so many years. If I’d known it was this easy just to calm down and, you know, let the memories come. Bob Olson, Afterlife TV: Well, that’s true. I’ve had past life regressions, and I can’t do that on my own. I mean these are memories I’ve never had on my own as far as I know. You were a little bit skeptical about the hypnosis before you started, were you not? Jenny Cockell: Yes. Yes, I think generally it’s a good idea to go in with a balanced viewpoint, not to be totally, oh, this is going to… of anything, anything you do. Jenny Cockell: This is a funny thing for perhaps someone like me to say, but I am fairly skeptical as a person. I have to have firsthand experience. I have to be absolutely sure that when I find somebody that is the person I was remembering, which is one of the reasons I researched so thoroughly is because I needed to be absolutely certain, and it was the same thing. I wasn’t going in and thinking, oh yeah, this’ll solve my problem. I went in thinking, we’ll see. Am I going to actually remember stuff that’s real, or am I going to try making stuff up? How’s it going to work? Bob Olson, Afterlife TV: Yeah, that’s right. Some of the stuff you got under hypnosis led you astray a little bit. You get the name O’Neal. Jenny Cockell: That’s it, yes. There were one or two bits that didn’t. But then again, they may have had a place. There may have been somebody by that name, and I just attached the wrong name. Bob Olson, Afterlife TV: Definitely. I wondered if just the fact that you had the name, you had contacted a bunch of different people, if it might’ve been some greater purpose to that, you know. Jenny Cockell: Well, I got some insight into it when I was researching life as a small boy because I remembered the name Raymond under hypnosis. I was trying to attach it to the father. It didn’t seem to fit. But the brother, when I found him up in Newcastle, the brother said that was a friend. Raymond was there at the accident. He was another little boy. He was at the accident. Jenny Cockell: So that’s why his name was prominent. So it did mean something, but it’s difficult to know quite what it meant. Bob Olson, Afterlife TV: Right, that’s right. Now, at what point did you begin thinking that you might actually be able to find Mary’s children? Jenny Cockell: I was determined that I was going to. Bob Olson, Afterlife TV: You were. Jenny Cockell: I was absolutely determined. I mean I had written down all the details for years. Since childhood I’d made a note of it. 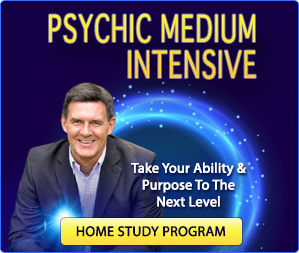 Then, as I say, when I had my own children I would start to write down little bits that I could remember, and it just got to the point where I was lucky that the hypnosis just dropped in my lap at the time it did because I was going to go anyway. I was going to do something anyway. It just got to that point where I had to. So yeah, I mean even if I hadn’t been successful, I still would’ve done it. I still would’ve tried. Bob Olson, Afterlife TV: Now let’s talk a little bit about that. So all your life you’re not just having these memories, but you’re feeling Mary’s emotions. Jenny Cockell: Well, yes, because they’re my emotions. Jenny Cockell: That’s what I said. It’s like normal memories, so the emotions are the biggest part of it. I mean I’ve just had an uncle die recently, and it’s reminded me of a lot of the family. You do remember grandparents and great uncles. You remember them, and the emotional content is the largest part of it. It’s exactly the same with this memory because it’s just memory. The emotional content is the largest part of it. Getting the little details that help you do the research and the little details that help to confirm is actually harder because the feelings, they come first. Bob Olson, Afterlife TV: Yeah, that’s right. This certainly would motivate you on to want to just keep working and working to find these children, your children, from another life. Now, I don’t think we’ve said. Just to let people know, Mary died, am I correct in saying 21 years before your birth? Bob Olson, Afterlife TV: Okay. So people can get a sense of their age. So your children’s ages when you actually found them were what, 60s and 70s? Jenny Cockell: That’s it, 72 the oldest, 60 the youngest. Bob Olson, Afterlife TV: Yeah, that’s amazing. Before we even go there, you mentioned that you did your first visit to Malahide, and I don’t want to just wash past that too quickly. When you were there, like you said, you didn’t even need the map anymore. You felt as though you were home again. You knew this place. Jenny Cockell: Yes. I even tried to take a shortcut and I couldn’t. It had been closed. There used to be a footpath down the side of one of the churches along a particular road, and I couldn’t take the shortcut. I turned in to take it, and I went, oh no, somebody’s built something here. I can’t cut through. Well, that used to be the trip to visit the sister and cut through to take the corner off to go back home again. Jenny Cockell: So yes, it was. I was living a duality while I was there. I was in two time zones, as it were. I was back in the 1930s and the present day all at the same time. Bob Olson, Afterlife TV: Which, I mean, must have been amazing for you. Most of what you found that first trip were those sort of things. You didn’t find any people during that. Bob Olson, Afterlife TV: It wasn’t until you came back that you actually got the last name, the surname, of Mary to be able to do more, which was cool. Bob Olson, Afterlife TV: Now, this eventually, because you contacted so many agencies, so many people, and you had to do this all by letter. We weren’t on the internet. Jenny Cockell: No, there was no internet. Bob Olson, Afterlife TV: Early internet. Jenny Cockell: I think it would’ve been so much easier to do family research if there’d been an internet. There was no internet, not then. It was all by letter. Bob Olson, Afterlife TV: By letter. Jenny Cockell: When I was doing research for the other lives, I had to go to records offices and look things up on microfiche, you know, with the magnifier machine to see them. Jenny Cockell: So it is a lot easier now. Bob Olson, Afterlife TV: Oh, it is. I remember even as a private investigator I used to have to do the same thing, the microfiche. Oh my goodness. Jenny Cockell: The only thing now is actually in some ways it’s harder to do past life research with a computer because you have to punch in the surname. Jenny Cockell: You can’t look up, say, everybody who died between this year and that year with this Christian name. Bob Olson, Afterlife TV: Yeah, yeah, yeah. Jenny Cockell: You can’t do that. Bob Olson, Afterlife TV: Right, that’s true. That was one of the great things. You did have the help of the churches back then because they kept such great records. Jenny Cockell: They did, luckily. That priest, I mean, he helped me out. Bob Olson, Afterlife TV: Right, he gave you the last name ultimately. Jenny Cockell: He gave me a lot of the first names and dates, yes. Bob Olson, Afterlife TV: I love this. There was this one part in the book. It shows that this was not—we have an expression here we call a cake walk. It was not easy all the way through because of the subject matter, because of how you had these memories. But you had someone—let me see; I can’t even remember who it was—who had helped you do some research, and you then sent her a letter and let her know; you say, also, before I can ask you to do anything, to be fair, I must explain why the research is unusual because you may feel that you would rather not be involved. This is a past life memory research, however that may be interpreted. Then you say, I never heard from her again. I laughed out loud. Jenny Cockell: No, that’s it. I mean I didn’t want somebody to do loads of work and not know what it’s about. I didn’t think it was fair. Bob Olson: Yes. That happened in my life. I actually ran into someone when I was a PI, someone from a law firm that I used to work with, and she happened to come up to where I live in this area. I saw her at a restaurant. We exchanged email addresses, and she said, what have you been up to? So I told her. Same thing, never heard from her again. Jenny Cockell: Same thing. I think some people get a little bit freaked out. Bob Olson, Afterlife TV: No, no. You know, well, probably did, but I never heard from her. This happened with the first child that you came across. You name him Jeffrey just out of respect. Jenny Cockell: Yes, actually, we were able to later on name him John, which was his actual name, but he died just about the time that they were bringing the book out. I wasn’t going to approach his widow and say please could we… I just didn’t. It wasn’t right. As you say, out of respect. But he wasn’t entirely comfortable, so I let him be because I could quite understand. That’s the response I expected. I didn’t expect for them all to end up embracing me, accepting me the way they did. Bob Olson, Afterlife TV: None more than Mary’s son, your son, Sonny. Bob Olson, Afterlife TV: Is he the oldest? He’s the oldest? 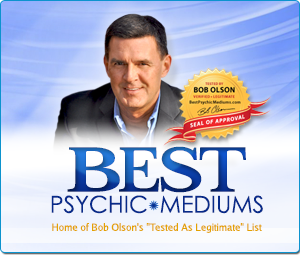 Bob Olson, Afterlife TV: Amazing what a response you had. Tell us a little bit about that. Jenny Cockell: Yes. I was just so relieved. As I said, I didn’t explain to him what it was about to start with, but I gave him time to get used to the fact that something strange was going on. He then asked, but he was so onboard with it. But what I hadn’t realized the very first time I rang him, he turned to his wife and said, I think I’ve just spoken to a ghost. He had the feeling immediately that there was some connection there. He’s just great. All the time he would just talk about things. Sometimes we would talk about things that had happened. I remember on other occasions he’d start a story and I’d think, hang on a minute, I didn’t know this. He said, oh yes, of course that was afterwards. That was later. I’d think, well, no wonder I don’t remember. But other times he’d start a story and I’d say, oh yes, and I’d finish the story off or vice versa. I could start talking about something, and then he’d finish it off. Bob Olson, Afterlife TV: Yeah. I mean how cathartic it must have been for both of you. Jenny Cockell: I think so. I mean we did have quite a heart to heart at one time. He said he had such a dreadful time as a child that he had pushed a lot of that aside, and at first it was very difficult, but we worked through it. I think I’m comfortable that he went a happier person than he was because of working through his problems. He had someone to talk to. He was able to look at it again as an adult. Jenny Cockell: I don’t think he’d ever talked to anybody about the problems he’d had when he was growing up. Bob Olson, Afterlife TV: That’s right. There was a lot of abuse going on there, which is described in the book. I’m going to show the book again just so everybody can see it, Across Time and Death: A Mother’s Search For Her Past Life Children. Mary had eight children, correct? Bob Olson, Afterlife TV: How many did you eventually meet in person? Bob Olson, Afterlife TV: Five in person, wow. Bob Olson, Afterlife TV: I love that. Now, most of them accepted the idea that you were their mother, that you were the reincarnated version of their mother, Mary. Two of them had a different explanation I think they got from their priest, but I thought that was pretty cool too. What was that? Jenny Cockell: Well, they thought that their mother was working through me; spiritually their mother was working through me. Now, I thought it was important because we were sitting around the table and I had never asked, how do you see this? Sonny was the one who brought it up at the table. He had a bit more courage and said, how do we all see this? I think they were nervous about saying how they felt about it because I was sitting there, and they didn’t realize that they were my children. I was more bothered that they were comfortable with the way they looked at it than to accept the way I looked at it. Jenny Cockell: I mean we’ve all got to live within our own parameters of our own experience, and I didn’t want to push my ideas on them. So that conversation around that table was very useful because they then realized that I wasn’t trying to make them see things my way. It didn’t matter. Jenny Cockell: It wasn’t important. What mattered to me was just seeing them and seeing that they’re okay and seeing them together, but how they felt about it was much less important. That’s why I said I expected them to reject me outright. Bob Olson, Afterlife TV: Yeah, yeah, which would’ve just been horrible, I imagine, a huge fear you must have had. Bob Olson, Afterlife TV: But it didn’t happen. Bob Olson, Afterlife TV: It didn’t happen. It’s such a happy story. You’re like 30 whatever, you know, 30 years younger than them on average. Bob Olson, Afterlife TV: So this must’ve been kind of a little bit of a mind twist for you. Jenny Cockell: For me it was no problem. Bob Olson, Afterlife TV: For you it wasn’t. Bob Olson, Afterlife TV: You remembered him as a boy, right? Jenny Cockell: Yes, that’s it. He was my brother, so it didn’t matter to me. What was more amazing is that he’s quite comfortable with it as well. But I think it’s harder for the other people because, as you said, you have this linear memory. You remember who you were. You remember how it felt being who you were. Jenny Cockell: So the mind bending thing is that you have to accept that other people will not quite see you the same way because you don’t look the same. The genetics are changed. Bob Olson, Afterlife TV: That’s right, right. So for you, you remember what they look like, and even now you’re seeing them older, they still look like them but older. Jenny Cockell: Yes, they’re the same personalities. That’s the big thing. Bob Olson, Afterlife TV: Yeah, there you go. In their case though, they’re looking at like a completely different body, a different person younger than them now. There are a lot of things for them to have to overcome. Jenny Cockell: Yes, yes. I think it is very much harder for the family than it is for the person who’s experiencing it. Bob Olson, Afterlife TV: But it sounds like most of them did. Jenny Cockell: Yes. Yes, they did. Bob Olson, Afterlife TV: Yeah. I can’t imagine what that must have been like emotionally for you. You mention in the book the one word you used to describe it is that it was a sense of relief. Jenny Cockell: Yes, absolutely, because again it’s the reuniting when people have been adopted or they’re separated from siblings. It’s just that being accepted and yes, relief. You’ve done it. Bob Olson, Afterlife TV: Yeah. Now, this was published in 1994. At least the one that I have was published in 1994. Bob Olson, Afterlife TV: I mean you spent many more years with these people afterwards. Jenny Cockell: And I’m still spending time with the families now. Bob Olson, Afterlife TV: Oh, grandchildren. Jenny Cockell: Thank goodness for Facebook. Bob Olson, Afterlife TV: Yeah, yeah, that’s right. That’s right. So you just became a part of this family again. You just reunited. Jenny Cockell: The children themselves, I was very much a part of the family, but the rest of the family, some of them I met, but it’s taken a little while. I’m now finding some of the younger generation are coming and saying, oh great, can I call you great gran? Bob Olson, Afterlife TV: Oh, I love that. Jenny Cockell: Of course you can. I’m happy with that. It’s lovely. Yes, I don’t mind. I’m a gran now anyway. 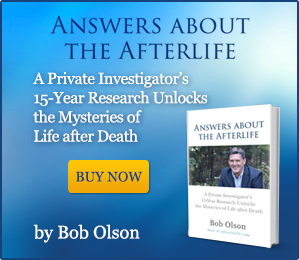 Bob Olson, Afterlife TV: Are you? Congratulations. Wow. Yeah, how nice for you, for them. Do you find that the younger generations are more open-minded about this sort of subject? Jenny Cockell: More open-minded? They’re open-minded. I don’t know if they’re more open-minded. Jenny Cockell: I think they’re very comfortable with it, which is lovely. I’m very happy to be able to have that contact. Bob Olson, Afterlife TV: I’ll bet. I’ll bet you are. So your family, your husband, two children, still two children? Did you have more after that? Jenny Cockell: No, I just had the two, and of course they’re all grown up. You know, I’m 60 now, so they’re in their 30s. Bob Olson, Afterlife TV: I understand. But that was complicated. You mention in the book about I think your daughter must have been nine or 10 years old, wanting to be reassured that she was as special to you as, say, Sonny was. Jenny Cockell: Yes, it may well have been, but she knows she’s special. Both of my children do. Bob Olson, Afterlife TV: Yeah, but you had to sort of walk that line. Jenny Cockell: Yes, I think there might have been a point where it was a little confusing for them. Jenny Cockell: But in the long run I think they realized that that bond is so strong that that bond will still be there long after I’ve gone. Bob Olson, Afterlife TV: You know, I loved that. It was something that you said in the book; that if you had told her that you didn’t love Sonny as much as you loved your own children, that might send the wrong message to her. I can’t remember what that was, but it was beautiful. It was brilliant, brilliant mothering, parenting, in recognizing in the future what message that might send to her. But you let her know that she was very special, that everybody was very special to you no matter what. Did you feel though, say, once this book was out that you maybe had to spend some time with your family because you’d been so focused on this other thing for a while? Jenny Cockell: Well, I get obsessed by all sorts of things, so if it’s not that it’ll be something else. I’m always working on something. Bob Olson, Afterlife TV: They’re used to that. Jenny Cockell: I think they’re used to that, but they’ve always had the attention as well. Sometimes we get obsessed on things together and do something together. No, they never got neglected. Bob Olson, Afterlife TV: That’s great. Your experience here, like I said, this was published in 1994. It’s been almost 20 years now since the book came out. It’s hard to believe, huh? What advice or insights even since now that there’s 20 years more might you have for our audience right now about if they’re having memories of a past life? What might you say to someone? Jenny Cockell: I think it’s probably important if children are having memories of a past life, write the things down. If they insist that they want to meet the family, let them meet the family, but I’m not keen on this going public with children. The whole process is really quite emotional. I think perhaps going through it privately is better for a child. If they’re a little older and they say they would like to, fine. If they want to, if they need to forget, even better for them because they can forget and move on, but at least you’ve written the bits down that they’ve said. If they do want to research it, you’ve got all the details, everything, so it’ll make it easier for them. But adults who have a past life memory, if you’ve got a past life memory as an adult, you need to resolve it. If you haven’t forgotten, there must be some reason that you haven’t forgotten. You do need to do something to resolve it. You might not be able to trace the family and find the people, but you do need to do something to come to terms with what’s happened. It might be that you’ve got to go through a process and then let go. Bob Olson, Afterlife TV: What might be some of those things that they could do? Like hypnosis, would that be one? Jenny Cockell: Hypnosis might help some people and meditation. Sometimes just making sure that you write down everything that you remember, and you might not be able to find the location, but try and find out why you’re remembering, what it is that’s bothering you. See if there’s something perhaps in this life that can help overcome the past. You know, not everybody is going to be able to, and people shouldn’t think that they can automatically go and find the people. Not everybody, if they do find the people, is going to be lucky enough to have somebody who’s receptive. Bob Olson, Afterlife TV: Yes. Jenny Cockell: You might just really alienate people. I mean that is a fear. Some people are put off by this. What I did to get around that was I just approached everybody very, very gently. The youngest member of the family, the one who was the baby when I died as Mary, the baby which had just been born, because she had been adopted and she had to cope with getting used to meeting her family, I didn’t actually say anything about my role at all to her. I let her get to know her family, and it was a year before she turned round and asked me, I realize there’s something going on; what is your connection with the family? Then I explained to her exactly what it was. Bob Olson, Afterlife TV: Wow, that’s amazing. Jenny Cockell: You do have to be gentle with people. Bob Olson, Afterlife TV: Do people, even children, tend to remember their past lives if it was a more recent past life, or is anybody remembering things from the 1600s? Jenny Cockell: It depends. I think that possibly they are more likely to remember it if it’s fairly recent because the memory is going to be stronger. I mean I remember a dozen or so lives, and when you go back further there does seem to be less detail. It’s harder to pinpoint it, and it’s harder to get a location, to get details that you can check historically. It is quite hard. In the same way it’s easier to remember what you were doing last week or what was on television than it is to try to remember what book you were reading 20 years ago. It’s a similar sort of thing. But it’s going to be the content. The emotional content I think is the most important thing. So if the memory has a really strong emotional content, something that you have been unable to let go of, I think this is what we come back to. It’s letting go. You remember for a long time. You keep on remembering because there’s something you aren’t able to let go of, something that either you did or happened that you need to address that balance. Bob Olson, Afterlife TV: Let’s say someone accidentally killed somebody, and that’s the memory that they have. How would they let go of that? Jenny Cockell: Work through it. First of all, to remember it all, remember it all in detail. Face it, and realize that it was an accident. Become aware and accept. I mean it’s a difficult thing. Sometimes people who are involved in situations where there are disasters, so you have the ambulance crew. The people they couldn’t save, they feel guilty about it. They were there. They forget all the ones they have saved. Bob Olson, Afterlife TV: Sure. Jenny Cockell: So what they do with the people like that is work through with them and help them face it, remember it, look at it, and look at the people they did save and look at what they did do and what their intent was. It was intent that’s important. Then get it in context. The same thing, to be able to let go and move forwards. Bob Olson, Afterlife TV: Yeah, I think just first of all, this is why your book would help. Thinking of it, this was real. Thinking of it as real, thinking of it as just an extension of your life, and then finding self-forgiveness through therapy and, like you said, all those things that you just mentioned I think are great. What’s that? Jenny Cockell: I actually felt guilt at leaving the children behind. Jenny Cockell: It took me a long time to accept that if you die from toxemia of pregnancy, gas gangrene and various other infections, it’s not your fault. You’re not actually guilty. Let’s get this in proportion. Jenny Cockell: Yes, so there was the guilt. Bob Olson, Afterlife TV: Yeah, and so there was the guilt. Whether she could stop that or not, who knows. But anyways, that might’ve been where some of the guilt stemmed from, and yet, like you said, there are three different things there. I’m sure the pregnancy didn’t help, and it was shortly after that that she passed, right? That’s just part of life. Any more you want to say about that? Jenny Cockell: No, I think you’ve probably got that. Sometimes you have to accept that life isn’t perfect, that people aren’t perfect, things happen, and you just have to get to the point where you can move forwards because there is only forwards. You can’t actually go back. Yet you can look back. You can try to sort out things that have happened. You can try and change how you feel about them, but you need to move forwards because that’s the direction we’re going. We are only going forwards. Bob Olson, Afterlife TV: I think that’s the point of it all. I just want to mention there’s a movie out there called Yesterday’s Children starring Jane Seymour. I did watch it. In fact, you can watch it for free on YouTube. It looks like it’s got a different language on it, but when you start to watch it you recognize it’s in English. I, personally, to my audience don’t recommend it. They had so many of the facts skewed that they changed for Hollywood purposes that to me it’s like what’s the point. You know what I mean? Jenny Cockell: Yeah, except that it opened the door to people to get them to think about the subject matter, and from that point of view if it’s just opening a few doors and opening a few minds. Yes, they changed it horrendously, and there are still people who get in contact with me and then are surprised I’m not American. Bob Olson, Afterlife TV: Well, exactly. I saw someone who was really upset that you weren’t from Allentown, Pennsylvania. It was like, okay. Jenny Cockell: Well, they changed it. It’s a film. You can’t expect them to stick to facts. Bob Olson, Afterlife TV: No, no. I’m sure a lot of people read your book as a result of it, so then they get the real facts. Anyways, it’s just to me if you really want to get the true story, you read the book. You don’t watch the movie. Now, there’s a documentary out there, right? Jenny Cockell: Oh, there are loads of documentaries. I have no idea how many they have done. Jenny Cockell: Yeah. Well, the nice thing was the documentary team helped me get together with the family, so I wasn’t going to say no. I have a chance to meet the children again and get back over to Ireland. Bob Olson, Afterlife TV: That is nice. What is the name of that one that you all were in? Jenny Cockell: Strange, but True? The pilot for Strange, but True?, the British one, was the one where they got us all together for the first time. Bob Olson, Afterlife TV: Do you know if you can get that anywhere? Jenny Cockell: I’m not sure, to be honest, if it’s available. It was ITV, which is British. But there were a number of American documentaries as well. The ABC team did one. I think they did a very good one actually. Jenny Cockell: They’re the people who took me back to the hospital room and asked me to identify things. Bob Olson, Afterlife TV: Oh, they were the ones. Jenny Cockell: Oh, yes, they were very demanding. Bob Olson, Afterlife TV: Yeah, of course. Yeah, I’m familiar with producers. Jenny Cockell: But they were right. They were right. I mean I did it. Bob Olson, Afterlife TV: Yeah, they push you in new directions that you wouldn’t maybe have gone. Jenny Cockell: I was very pleased with it because I hadn’t realized how important it was to go back to that room. I hadn’t let go until I got back into that room. I wasn’t sure I’d be able to go into the room, but after visiting that room there was an incredible change as though a terrible burden had been taken away. Jenny Cockell: I don’t think I had really accepted the death in those circumstances wasn’t my fault. Bob Olson, Afterlife TV: Wow, that’s beautiful. Jenny Cockell: I didn’t put it in that one. I remember leaving the body. I didn’t mention it to start off in the first book because I thought this is enough. People have got enough here. But I’ve always remembered leaving the body in the hospital room. That’s one of the reasons I was able to describe what the room looked like because I was looking at it from above. I thought it was the husband who came because a nurse came in and she rushed out. Then someone came in more slowly and knelt by the bed. I’m told later it was actually a priest. The husband was in the pub, so it wasn’t him. But I couldn’t see. All I could see was the top of the head. But I was quite nervous about talking about it at first, and then I did some research into people’s near-death experiences and realized that actually it was exactly the same. It was a sudden whoosh out of the body. One minute you’re there, and then the next minute you’re way up looking down. Then it was as if I folded up and curled up and then was sucked off backwards. There was a light around me because I was facing the wrong way. I was still looking back, as it were. So the light came around me either side. But very, very similar to a lot of the near-death things. I mean, I also remember in Japan something quite similar. I was under water, but there was still the light and the tunnel. But until I’d done the research and found out that I wasn’t the only person saying that, I was really quite nervous about talking about it because we’re talking 20 odd years ago, and obviously I remembered from before that. I mean everybody knows what near-death experiences are now, but they weren’t so well documented then. So I was quite nervous about that. Bob Olson, Afterlife TV: Very cool. Jenny Cockell: But when I say linear, I mean linear. Bob Olson, Afterlife TV: Yeah, yeah. Yeah, that’s right. Jenny Cockell: There aren’t lots of gaps. I do remember the deaths as well. Bob Olson, Afterlife TV: That’s amazing. Now, your second book was titled what? Jenny Cockell: The second was slightly more demanding. It was a lot of the things that I hadn’t put into the first one. There was a lot about the near-death experiences, the research into that. There was a looking into the future as well. Because I have premonition as well, I thought it was worth looking into that. But I also had an experience when I was looking into the future. I see my own life, bits of my own life into the future, from earliest childhood. Again, it was another of those things. It helped me. When I was a child and I was remembering past lives, people were saying to me, that’s not real. No, that’s just a belief. But they were also telling me that when I had those funny little experiences and then a couple of weeks later what I had experienced actually happened, they were saying that wasn’t real, and I thought, aha, of course it is. So the other thing, it’s just because they’re not experiencing it. That’s what it’s about. You know, that’s always happened, but occasionally it jumps ahead. On just this one occasion it jumped beyond the end of this life. I don’t why, whether it was because I was coping with the stress of researching and finding the Sutton family, but I looked into that. Because you can’t prove it, even though, I mean, there was loads of evidence that the stuff I was saying was right, I still hold that little bit of skepticism, but then I’ve always done that with premonition, which is bizarre. I get a premonition, and I’m skeptical until it happens. Then when it happens I’m like, yeah, I did see it and I did sort of tell everybody, so I suppose, and then it happens again. So how much does it take to stop you being skeptical? Bob Olson, Afterlife TV: That’s right. I don’t know. I’m sure it’s different for everybody. What is the name of that book? Jenny Cockell: They changed the title, so I forgot. Journeys Through Time, oh no, that’s the last one. Hang on a second. I’ll look it up there. Oh yes, Past Lives, Future Lives. They changed the title of the one I gave, and I can never remember. Bob Olson, Afterlife TV: I know, publishers. Jenny Cockell: Good, isn’t it? Can’t remember your own book. Jenny Cockell: I remember all sorts of things except the actual important data of things like names and what I’m supposed to be doing. Well, there’s not much room for all that with all the other stuff. Bob Olson, Afterlife TV: That’s right. Your daughter walks in. What is your name, honey? Are there any websites or resources that you want to mention? Jenny Cockell: Do you know, I haven’t even thought of looking for some. There have to be, don’t there? 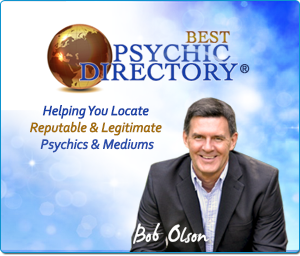 Bob Olson, Afterlife TV: But you don’t have a personal website yourself? Jenny Cockell: No, no, I have a Facebook page if people want to say hi or they’ve got a question, which is fine. I mean I kept it open for that purpose because I was a bit nervous about the idea at first of contact with people, and then I thought, well, why not? Bob Olson, Afterlife TV: That’s right. Why not? I will link all that stuff below us. So, I don’t want to take any more of your time, but this has been fascinating, fun, amazing. I can’t believe it. Again, I’m just going to show people one more time. Here’s the book. I highly recommend you get it, and there’ll be links that people can just buy it right below this video. Thank you so much. I really appreciate you coming. Jenny Cockell: Oh, thank you for your time. Bob Olson, Afterlife TV: It’s been great. All right, bye-bye now. Jenny Cockell: Okay, bye-bye. Thank you.